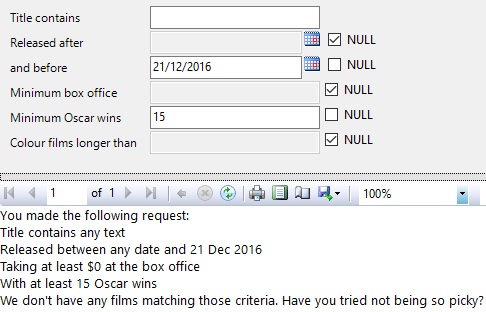 Create a report called I'm Not Picky and add a data source which connects to the Movies database. Here's an idea of how the report could look. You'll need to write several expressions in filters and formatting properties to get this to work. 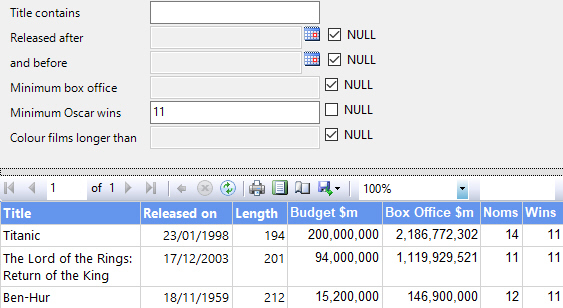 The default values should appear as shown here. You'll need a long expression to make this work.